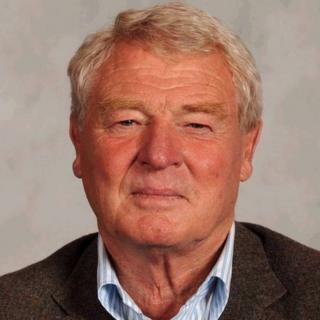 Paddy Ashdown was the action man of British politics. A former Royal Marine officer, he was the first elected leader of the Liberal Democrats, a party then badly in need of some military-style discipline. He led his party to its best election result for half a century but his combative style of leadership did not always sit easily with some activists. His mixture of military and diplomatic experience meant he was well-suited for the role he later undertook in the former Yugoslavia. Jeremy John Durham Ashdown was born in Delhi, India, on 27 February 1941, into an Irish family with a long record of service in the administration of the sub-continent. He boasted Irish nationalist leader Daniel O'Connell among his ancestors. His father was an officer in the Indian Army who later faced a court martial for refusing to abandon his troops during the retreat to Dunkirk. The charges were eventually thrown out. One of his earliest memories was seeing dead bodies in the streets, the result of conflict between Hindus and Muslims. The young Ashdown spent his childhood years on a farm his father had purchased in County Down, Northern Ireland, before attending Bedford School, in England, where his Irish brogue led to the nickname Paddy. He did not always find school easy, with one report describing him as vain and a poor team-player. There was a sexual relationship with a female maths teacher which he described in his memoir, A Fortunate Life, as "a rite of passage". He quit before taking his A-levels and joined the Royal Marines in 1959. Ashdown saw active service in Borneo and the Persian Gulf before joining the elite Special Boat Service, the seagoing equivalent of the SAS. In 1967, he went to Hong Kong where he learned Mandarin and qualified as an interpreter, before returning to Northern Ireland where he commanded a commando company in Belfast at a time when the Troubles were raging. Ashdown quit the Royal Marines in 1972 and joined the Secret Intelligence Service (SIS) where he worked with diplomatic cover in Geneva liaising with a number of United Nations departments. Although he was a Labour supporter he had shown little interest in politics so there was surprise when he decided to quit his comfortable life in Switzerland and become an active member of the Liberal party. "Most of my friends thought I was utterly bonkers," he later recalled, claiming he made the decision after being horrified at the state of the UK following the period of industrial unrest and fuel shortages in the mid-70s. In 1976, he was selected as the Liberal candidate in his wife's home constituency of Yeovil which had been held by right-wing Tory MP John Peyton for more than two decades. With what became a trademark energetic campaigning style, he set out to squeeze the Labour vote and, in the 1979 general election, took his party to second place, although still more than 10,000 votes behind Peyton. Having given up a lucrative post with the foreign office, Ashdown took a job with a subsidiary of the Westland Helicopter company, based in Yeovil. He then moved on to work with Tescan, a processor of sheepskins, but found himself out of work when the firm closed in 1981. As the personnel manager, he had to make his team redundant, something he described as "the worst day of my life". He was on the dole for six months before obtaining a job as a youth worker with Dorset County Council. His continuing campaigning in Yeovil paid off in the 1983 election when John Peyton decided to stand down; he won the seat with just over 50% of the popular vote. It was the era of the SDP-Liberal Alliance and Ashdown quickly found himself appointed as the Liberal spokesman on trade and industry. He was a prominent campaigner against the stationing of American cruise missiles on British soil, describing them as "the weapon we have to stop". Ashdown also spoke out against Margaret Thatcher's decision to allow the US to use bases in Britain to bomb Libya and was one of the harshest critics of the government's decision to ban workers at GCHQ from being members of a trade union. He had become a popular figure in Yeovil, where he increased his majority over the Conservatives in 1987. He had gained a reputation as someone not afraid to speak his mind, but who did not suffer fools gladly. In 1988, the SDP and Liberal Party formally merged as the Social and Liberal Democrats, later shortened to the Liberal Democrats. When former Liberal leader David Steel declined to stand for the leadership of the new party, Ashdown comfortably saw off Alan Beith, the only other candidate. He inherited a party licking its wounds after the arguments that had accompanied its formation and leading figures from both the Liberal and SDP camps walking away in protest at the merger. Ashdown threw himself into getting his party into shape for the 1992 election and it was to his credit that, despite all the problems, the new party suffered a net loss of just two seats. His career, and his marriage, also survived press revelations of an affair with his secretary, five years previously, leading to one Sun headline dubbing him Paddy Pantsdown. A year later, Ashdown began negotiations with Labour leader John Smith over closer co-operation between the two parties. After Smith's death, he continued the talks with Tony Blair. It was the end of his party's historic stance of "equidistance" between Conservatives and Labour. He developed a close rapport with Blair. One colleague said the two of them would "sit at the cabinet table and fix their gaze on each other - they worked exceptionally closely together". The relationship was remarkably candid with Ashdown once telling Blair that "some folk think you are a smarmy git". Despite early signs that Labour were on course to win the 1997 election, Ashdown still hoped that he could offer the support of the Liberal Democrats in return for Labour agreeing to voting reform. Although Blair was sympathetic, the Labour landslide of 1997 removed any need for Lib Dem support and the majority of Blair's new cabinet, sitting on a secure majority, were not in favour of moving to some form of PR. Ashdown was also disappointed that Blair refused to share the Lib Dem leader's enthusiasm for joining the euro. In the election, the Liberal Democrats increased their number of MPs from 18 to 46, as the Conservative vote crumbled. But it remained the third party in UK politics. Ashdown stood down as Lib Dem leader in 1999 and was replaced by Charles Kennedy. Two years later, he quit the Commons and entered the Lords as Baron Ashdown of Norton-sub Hamdon. Retirement was far from his mind and, in 2002, his military and diplomatic experience saw him appointed as High Representative for Bosnia-Herzegovina. He had been a continuing advocate of intervention in the strife that followed the disintegration of the former Yugoslavia and he made a number of positive contributions to creating a stable framework of government. "Bosnia is under my skin," he said. "It's the place you cannot leave behind." He appeared as a prosecution witness in the trial of the former Serbian leader, Slobodan Milosevic, although his claim that he had watched Serbian shells falling on villages in Kosovo was disputed by the defence. He was considered for the post of UN representative to Afghanistan in 2008 after he had called for a high-level co-ordinator to lead the foreign mission to the country, but ruled himself out of contention. He remained active in the Liberal Democrats. He often appeared as a pundit on radio and television and chaired the party's election campaign in 2015. Appearing on the BBC election results programme, he took issue with the Exit Poll which suggested the Lib Dems would end the night with 10 seats. Ashdown promised to "eat his hat" if the Exit Poll proved right. In the event, the party won just eight. Ashdown campaigned vigorously against Brexit and waved away sympathy after the diagnosis of bladder cancer. "I've fought a lot of battles in my life," he said. He was a politician of great drive and energy, although some complained that he was not the most subtle or diplomatic of figures. "It's not my job to be popular," he said. "I'm goal-driven, my job is to get results." He relished the cut and thrust of political life and its potential for throwing up the unexpected. "If you make a mistake you usually pay the price very quickly," he said. "It is what makes it more exciting and more terrifying than active service."